A clear sky. Low 48F. WSW winds at 15 to 25 mph, decreasing to 5 to 10 mph. Winds could occasionally gust over 40 mph..
A clear sky. Low 48F. WSW winds at 15 to 25 mph, decreasing to 5 to 10 mph. Winds could occasionally gust over 40 mph. 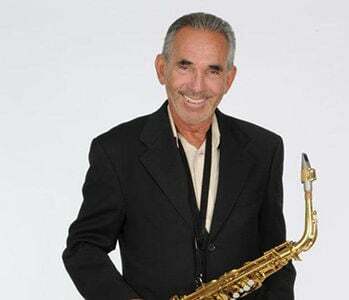 Saxophonist Herbie Kae and his all-star band will return to the Palmdale Playhouse at 7:30 p.m., Feb. 9, for a tribute to some of the greatest saxophone legends of all time. The audience will hear music from artists such as Stan Getz, Cannonball Adderly and Gato Barbieri. “Of course, I’m not trying to step into anybody’s shoes, just trying to keep their music alive,” Kae said. He plays the alto, soprano and tenor saxophones. He will play the alto and tenor saxophones at the Playhouse show, although he is not picking favorites. The Chicago native got his start with music as a sixth grader. He started with the clarinet, after he saw a friend playing the instrument on the school playground. He switched to the saxophone in junior high school. “I liked the sound of the saxophone and it looked really cool, so I said that’s for me,” Kae said. The self-taught musician understood he could do more with the saxophone. He taught himself how to read music and play by ear. He took six saxophone lessons his first year of high school. Those are the only lessons Kae ever took. He has worked with several notable musicians throughout his career, including Billy Joel, Ben Champion, Carlos “Potato” Valdez, Lynyrd Skynyrd, Jaco Pastorius, Conti and Gap Mangione. “I’ve been very fortunate to work with some amazing musicians over my lifetime,” Kae said. In fact, the six musicians who will appear with him at the Playhouse are phenomenal musicians who have worked and toured with big name artists, he said. “All of the musicians are top, top, top-notch cats out of L.A.,” Kae said. He has recorded music for other artists and has his own album, “Drive Time.” There are five original songs and three cover tunes. Audience members can also purchase a copy of “Drive Time” after the show. Kae will be in the lobby and will sign copies or take pictures with fans. The album usually sells for $15, but he will sell them for $10 at the show.